Welcome to the Wacky Watercooler Blog Hop! This is my first time participating in this hop. I am so excited to be able to have a part in this hop along with such talented Stampin' Up! demos. If you have been following the hop, then you came here from My Tanglewood Cottage. Don't you love the Christmas cards she posted? To continue in the hop, simply click on the 'next' image on the bottom of this post. This is a circular hop, which means that wherever you begin, if you continue to go to the 'best' blog, you will eventually end up where you began. If at anytime you want to see a full list of participants, click on the 'Home' button. Since this is October, I decided to focus on Halloween for my projects. 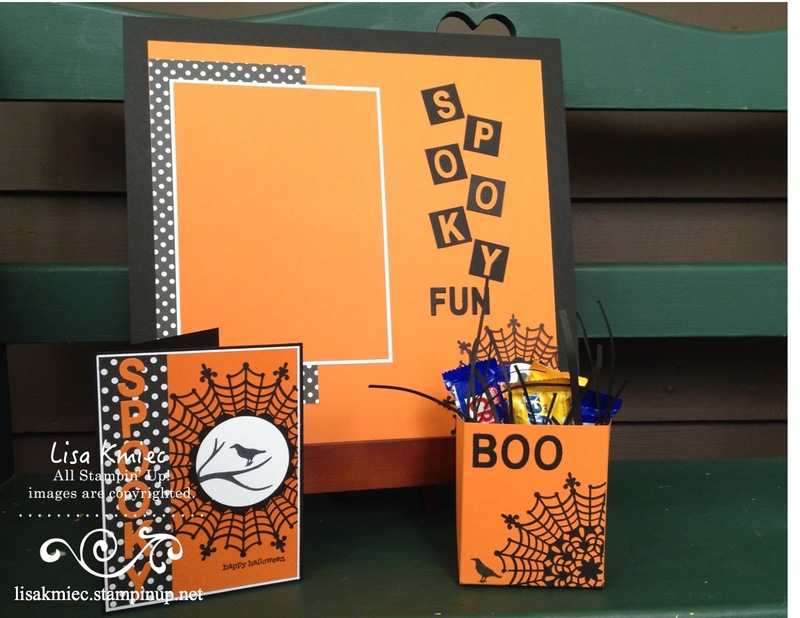 I have three projects to share today: a card, a scrapbook page, and a candy holder. 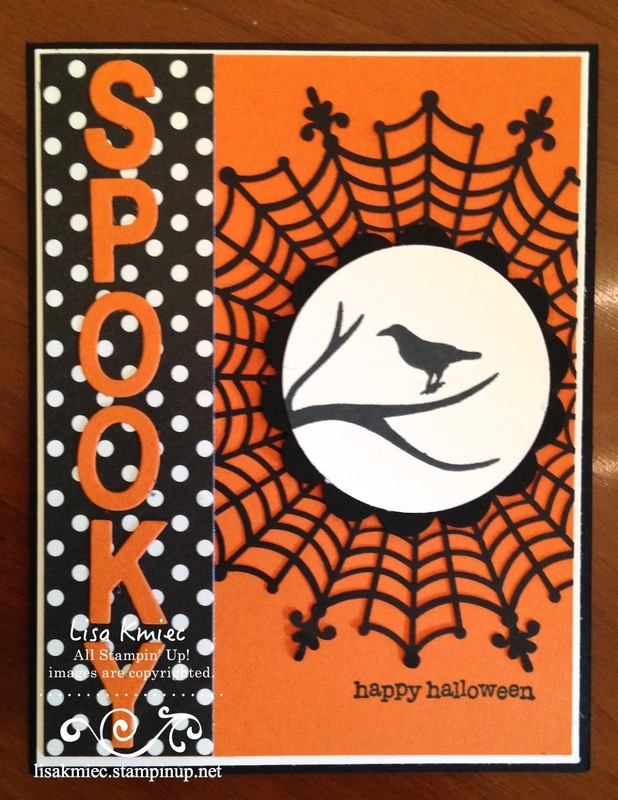 I really wanted to show off the Spider Web Doily on this card so I used a pretty simple sketch. I don't normally do much for Halloween, so I don't purchase Halloween-exclusive stamp sets. I challenged myself to come up with projects using other sets. Having a stamp set, such as Among the Branches, that covers a few holidays helped a lot! This little candy holder was made using the Gift Box Punch Board from the Holiday Catalog. I again featured the Spider Web Doilies. (Can you tell I love those?) I cut thin strips of black cardstock to make paper grass as a filler for the box. If you have a paper shredder that would work great for that! 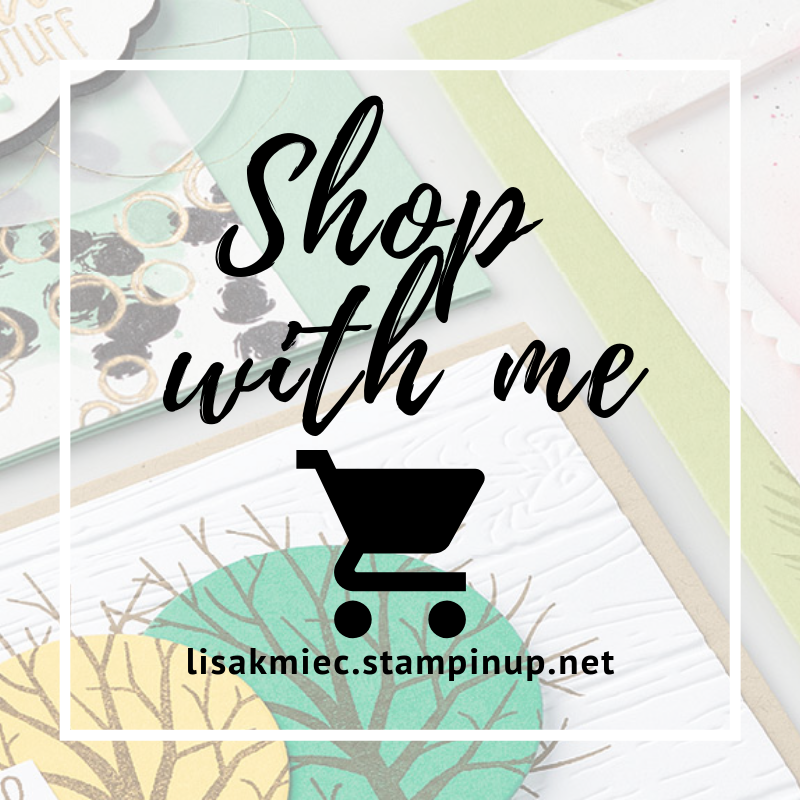 I've been wanting to do more scrapbooking, since that is the reason I first joined Stampin' Up! I used the doily and the Among the Branches stamp set again. 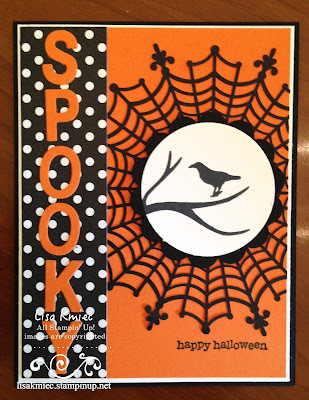 For the word 'spooky' I punched 1" squares and cut the letters of of them using the Little Letters Thinlets. And since I don't have Halloween paper, the Black DSP came in handy! I hope you enjoyed visiting my blog. If this is your first time here, I'm glad you stopped by and hope you'll be back again! Be sure to subscribe to my blog, using the "subscribe' button on the upper right side. 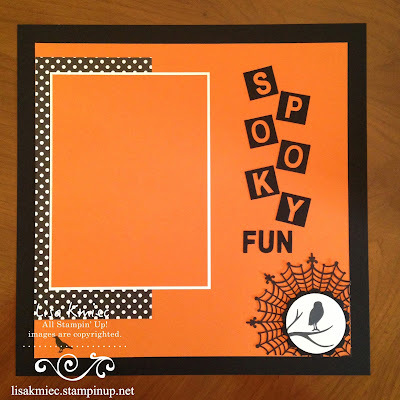 Then head over to Stamping and Other Stuff to see what Gail did this month. You're going to love what Gail has for you. Thank for stopping by! This is such a great set of projects, Lisa! 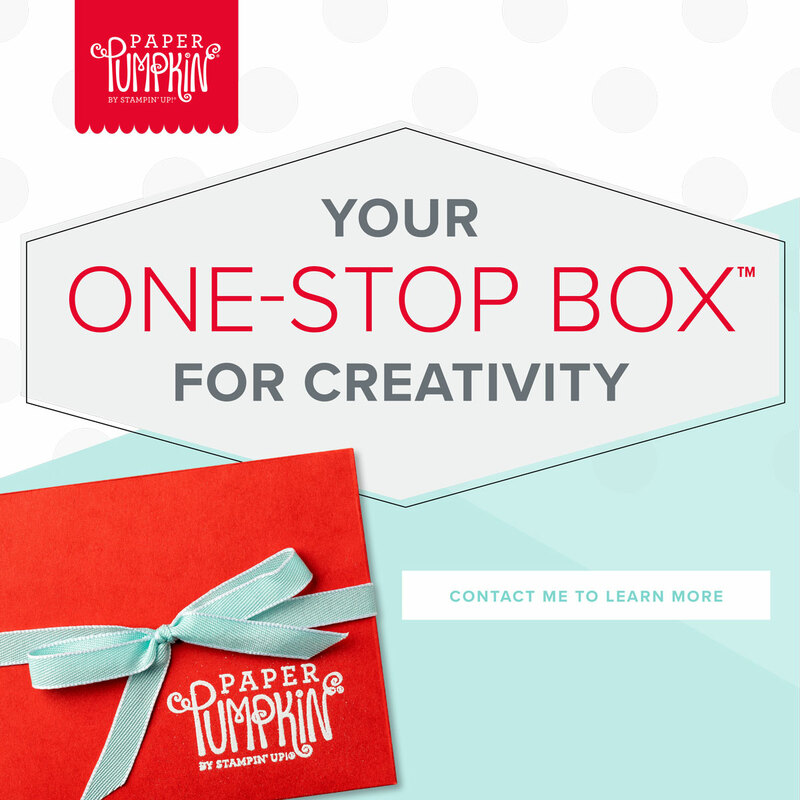 I love how every paper crafter - whether they're looking for a 3-D, a card, or a scrapbook page - will find a great idea! Lisa, great job! I really like how you coordinated your projects. It really showcases how the Spider Web Doily can be used on so many different types of projects. Thanks for joining the hop! 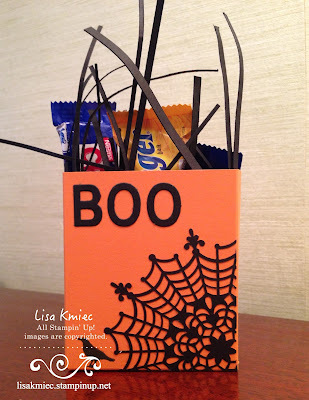 Hi Lisa, what fun that you concentrated on Hallowe'en for this blog hop. I love your beautifully coordinated card, scrapbook page and treat bag. You've certainly shown how versatile that Spider Web Doily can be by using it on each project. Combining it with the images from the Among the Branches set was a great idea. That stamp set is good for so many different seasons and styles. Thanks so much for sharing your projects and for joining our Watercooler Blog Hop this month. Hi Lisa. So nice to have you join the Watercooler blog hop this month. I super enjoyed looking at your coordinated projects. All three are beautifully created. 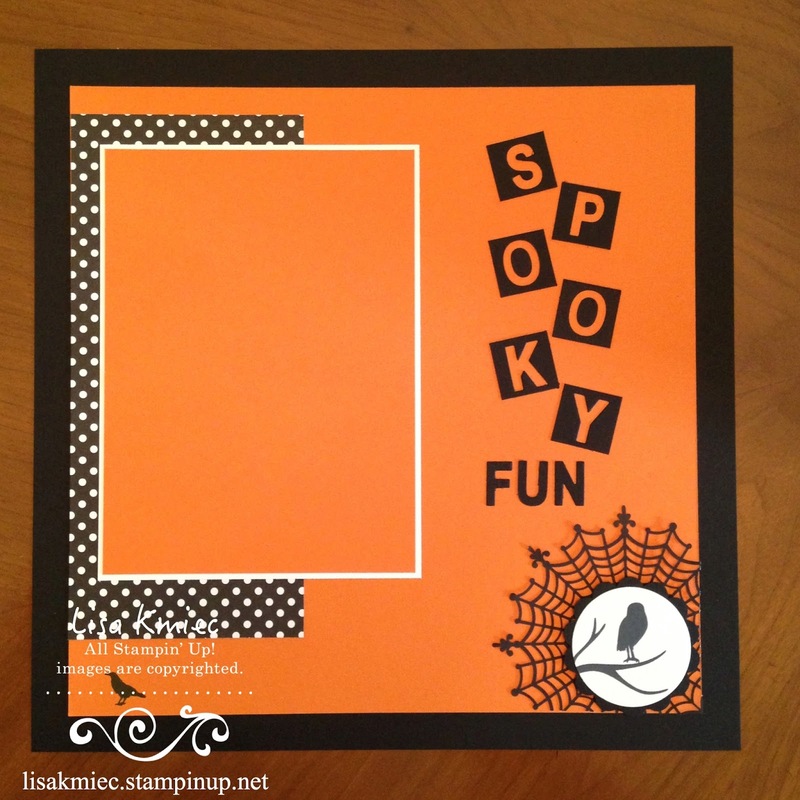 I love how you used the Spider Web doily in your projects and your use of the Alphabet dies to create a negative and a positive "spooky" on your card and scrapbook page. Very clever. Lisa, what super projects. Love your creativity. I love those spider web doilies. I agree with Penny on your use of the alphabet dies on your projects. Very clever. So nice to see a new addition to the hop. Wonderful variety of projects, something for everyone. What a fun Halloween collection! I especially like the treat bag. Nice to have you as part of the Watercooler Hop. 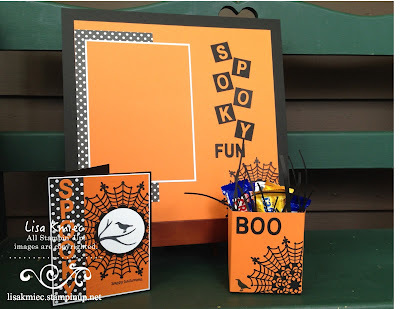 All your Halloween projects are awesome! My favorite was the card. I am loving all the projects! I love the coordination!! I will most definitely be CASE'ing your bag! Great Job!